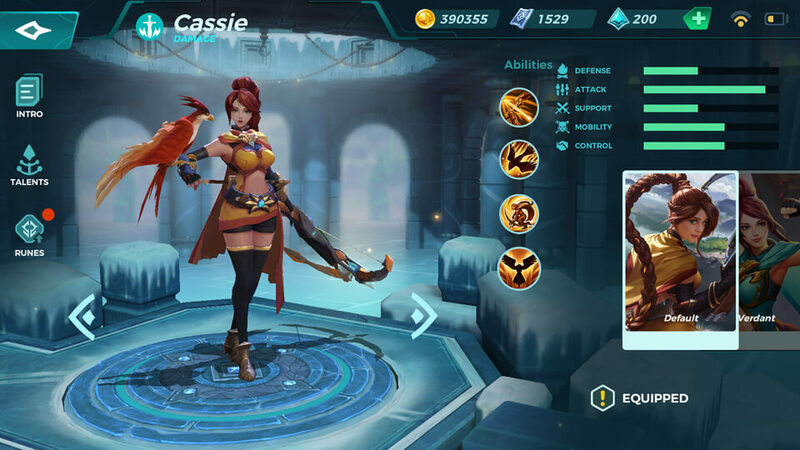 Cassie is a medium range damage dealer who rolls in and out of combat with her trusted companion Ziggs. 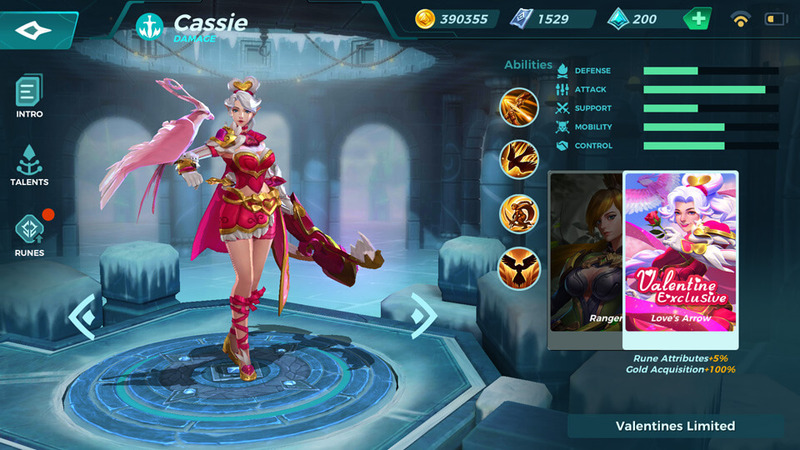 Following up shots is crucial with Cassie, and will allow her to stay mobile by reducing her Dodge Roll cooldown. CD: 0.7s. A crossbow that fires three arrows in the front cone, with each arrow dealing 450 damage. CD: 10s. 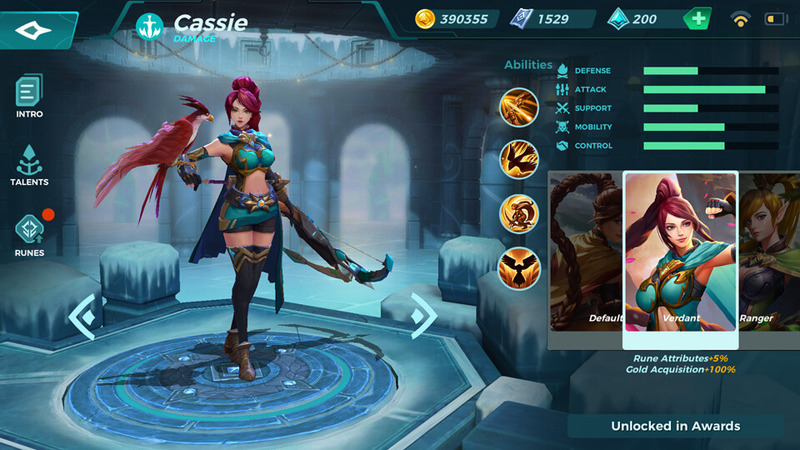 Your next attack with Crossbow will fire three blast arrows that explode and deal 600 damage to enemies within the area and reducing targets healing by 50% for 3 seconds. CD: 4s. Quickly roll in the direction you are moving and restore 1 ammo immediately. CD: Energy Gained. Send Ziggs to attacks the closest enemy, dealing 600 damage and stunning the enemy for 2s. Critical chance increases by 30%. 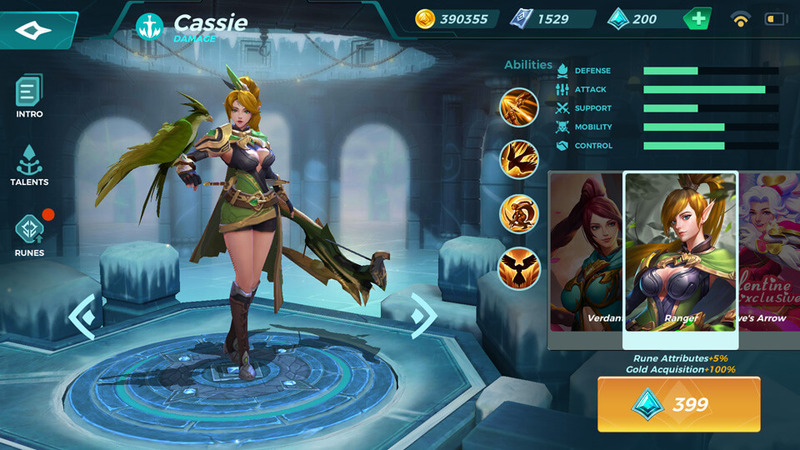 Basic attacks deal 25% more damage.